We're very pleased to announce we're working on a new documentary about the life & music of the great singer/songwriter, Tim Buckley. The film is currently in production and we've made posters, prints and other wonderful artefacts available from our Pledge Music page. Please help support the film if you can, follow us on social media for news and updates, and please help spread the word and share with anyone who might be interested. Here's a short clip from The Ballad of Mott the Hoople - Mott's fortunes are changed forever by David Bowie and "All The Young Dudes"
It was a pleasure to speak to Danny Fields and Gary Lucas recently for our Tim Buckley documentary. Thanks to Danny & Gary for sharing their thoughts, memories and insights. come back - the return of the mighty wah! 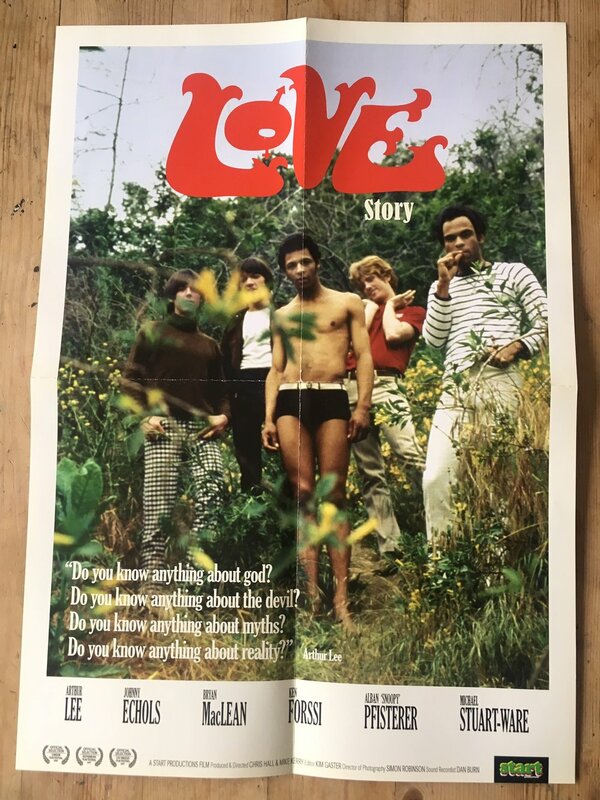 Love Story DVDs are back in stock in our shop. Five years ago we filmed PiL live at London's Heaven - the full finished concert film is/was available on DVD with the deluxe version of their(then)new LP "This is PiL". Here's a great version of "Religion" taken from the film. The Ballad of Mott the Hoople DVDs are available in the shop. The DVD contains over an hour's bonus material, including footage from Mott's triumphant 2009 reunion, a twelve-page booklet with liner notes from none other than Morrissey, and is compatible with UK/European and US DVD players. "Everything you'd hope for: compelling, moving and devoid of superfluous filler" - Shindig! After we finished "Love Story" We did some filming with Suicide in 2007 with a view to making a Suicide documentary - the documentary didn't happen, but here's a brief section from the footage we filmed, featuring Alan Vega, Martin Rev, Chris Stein, Kris Needs, Howard Thompson and Mick Jones. Join our mailing list - sign up with your email address to receive news and updates. Thank you - we'll be in touch soon with news and updates!